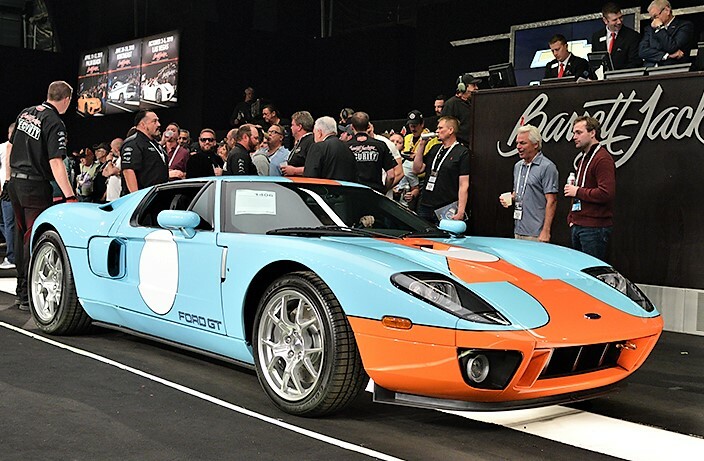 What was perhaps the most significant result of Arizona Auction Week 2019 came out of Barrett-Jackson, where nine of the 12 top-selling cars out of more than 1,800 sold were produced in the 21st Century. Granted, three of those were charity sales, but it still characterizes the changing face of the collector car hobby as a new generation of enthusiasts makes its presence known. Things have changed, and they’ve changed quickly. 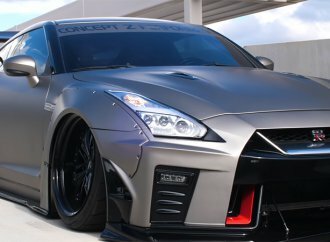 Late-model exotics and customs have become among the strongest contenders for the highest bids, and Japanese cars have come out of the shadows – Russo and Steele’s top sale was for a 2012 Lexus LFA Coupe, also sold for charity. Maybe not everything has changed. Great cars still bring top money, and there is a growing gap between the perfect concours queens and anything that’s just a notch lower and take a major hit in value. Potential buyers seem unwilling to compromise as there are so many exceptional vehicles available in the marketplace. But the Gen Xers and Millennials are making their voices heard through their wallets, as cars from the 1980s, ’90s and 2000s gain traction at auctions. 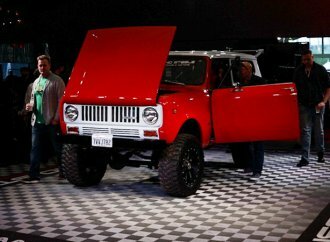 In recent years, Barrett-Jackson has been best known as the bastion of muscle cars, street rods and resto-mods. Before that, it was the classics and old-timers. Now, the newer collector cars are being added in with a vengeance, and hitting strong numbers. Of the three vintage lots that filled the top-selling spots at Barrett-Jackson, all were customs, also reflecting the changing market: a 1967 Ford Mustang fastback customized into an Eleanor from Gone in 60 Seconds, a resto-mod 1963 Chevrolet Corvette coupe, and a custom 1955 Chevrolet Bel Air convertible. Barrett-Jackson had the highest Scottsdale sales results in its long history at $131.6 million including charity sales and automobilia, with a 99.9 percent sell-through (the lion’s share of vehicles offered at no reserve). 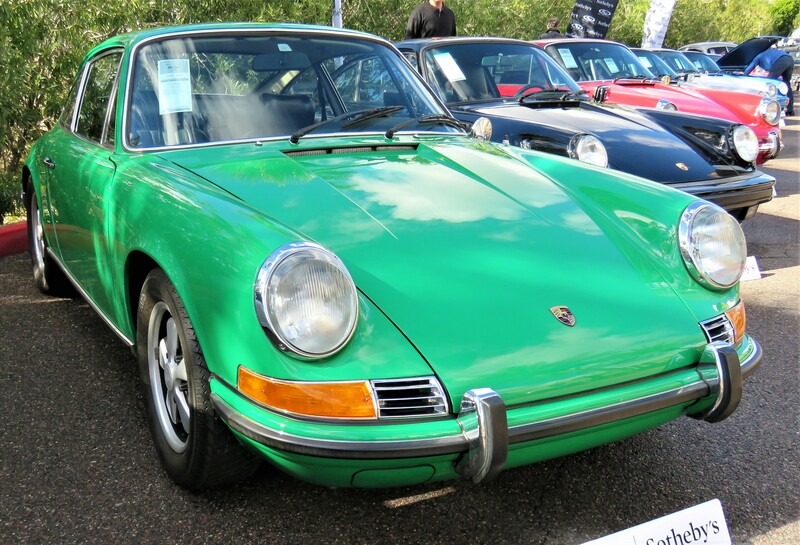 The auction also had the most cars ever crossing its block, 1,818 compared with 1,729 last year, and the average sale price was up significantly, from $65,692 to $69,571. Sales overall for the seven auctions of Arizona’s January showcase week were just slightly higher than those of 2018, hitting $251 million total compared with $248 million. That shows that the market generally is not growing anywhere near as much as earlier in the decade. The comparative fortunes of the seven auctions were mixed this year. 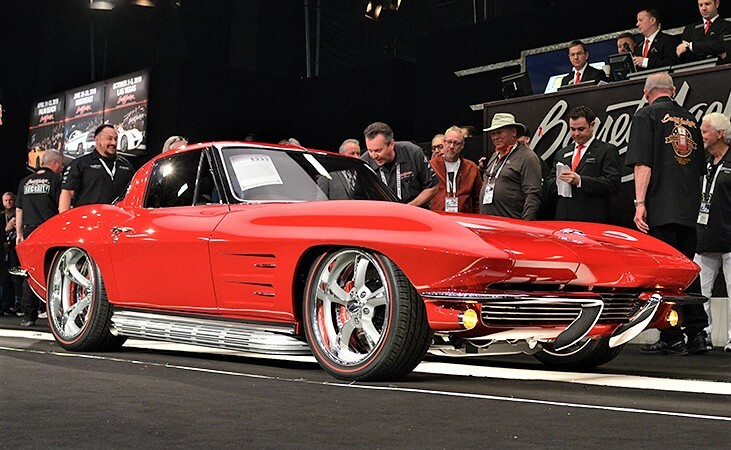 Three of the auction companies had better Arizona results than in 2018 – Barrett-Jackson, RM Sotheby’s and Worldwide Auctioneers – while four experienced declines – Bonhams, Gooding & Company, Russo and Steele and Silver Auctions Arizona. Reid was looking primarily at the top of the food chain, where the seven-figure cars reside, and where there are signs of weakness. 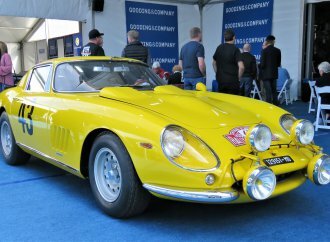 The two auctions with the highest valued cars going into auction week, RM Sotheby’s and Gooding, failed to find buyers for their marquee cars. 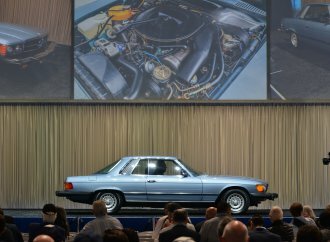 The same for Worldwide Auctioneers, now in its third year in Arizona with a strong sale overall, although its top car went begging. 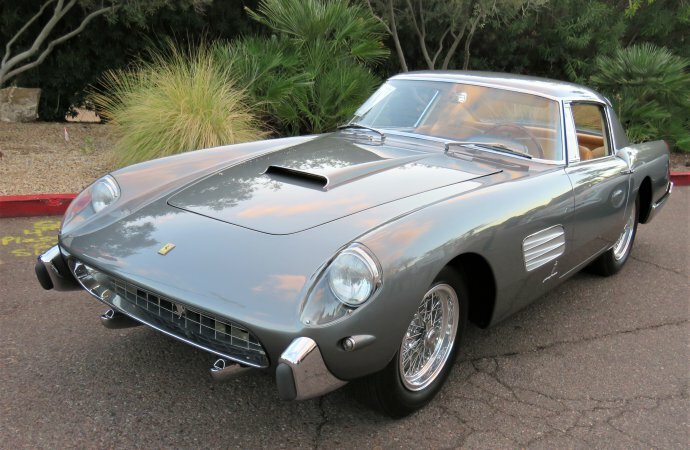 RM Sotheby’s had the car with the week’s highest estimated value, the superb 1957 Ferrari 250 GT Coupe Speciale – a one-off Pinan Farina design first owned by a Belgian princess – that was valued at $11 million to $13 million. It rolled off the block when bidding stalled at $7.5 million. 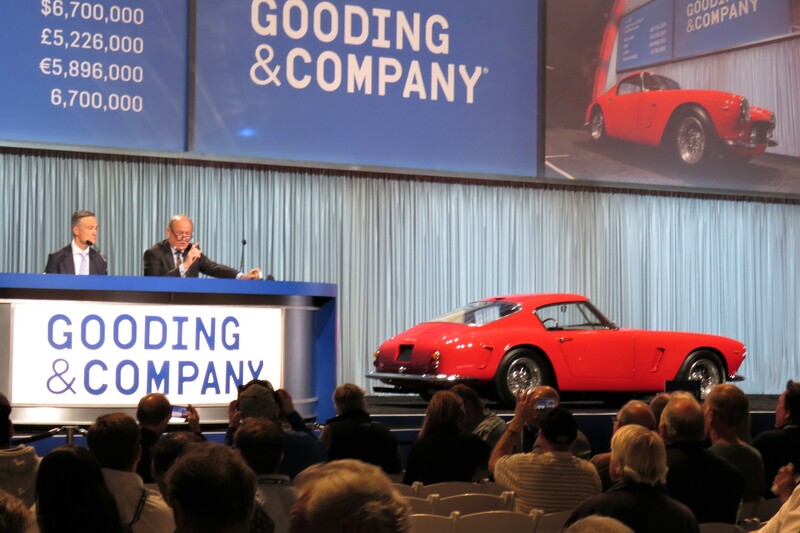 While Gooding did find a buyer for its 1963 250 GT SWB, which soared to $6.9 million, or $7.595 million with buyer’s fee, to become the highest sale of the week at all the auctions, its other top car, also a Ferrari, went unsold. That one, the 1964 275 GTB Prototype, reached $4.75 million against a low estimated value of $6 million. Gooding also had the second and third top sales of the week, the beautiful and historic 1958 Ferrari 250 GT TdF coupe for $5.89 million and the 1953 Ferrari 250 MM Spider at $5.395 million, both results including auction fees. 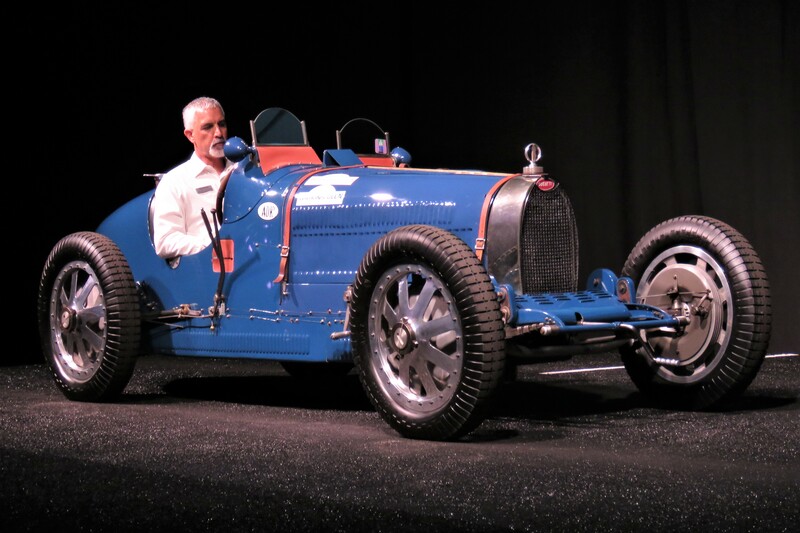 At Worldwide, anticipation had been running high for the wonderful 1925 Bugatti Type 35A Grand Prix race car, a real piece of history that’s ready to be driven in rallies and vintage racing. But it reached just $1.3 million on the block against a pre-auction estimate of $1.9 million to $2.4 million. A surprising no-sale for something highly desirable that doesn’t come around very often. Another unexpected no sale at the high end was that of the 1959 Lister-Jaguar at Bonhams, which reached $1.45 million against a low estimate of $2 million. Much of the strength shown in Arizona was in the mid-market, where vehicles from about $75000 to $250,000 sold well and helped push the average transaction rate to $47,300, compared with $40,700 last year. But here again, there’s a huge value difference between near-perfection and so-so vehicles. The grand pre-war American classics such as Duesenbergs and top examples of Cadillacs and Packards have remained strong, but anything under that is slipping in value. That goes in particular for post-war cruisers from the ’50s and ’60s, which are losing their fan base as it ages. “I think that in the coming year, the hardest place we’re going to see this market is in the 1930s-1960s run-of-the-mill American cars – the prices are going to go down and down,” Reid said, pointing out the declines in the once highly popular Tri-Five Chevys of 1955-57 and the Tri-Five two-seat Ford Thunderbirds of the same era. Arizona Auction Week this year might have been negatively affected by the current economic conditions of a U.S. government shutdown, the continuing fight over Brexit in the U.K., the uncertainty of tax changes, and rising interest rates. Yet for all the turmoil, the results show plenty of strength in the collector car market overall, particularly in that middle range where most of the sales occur. You are so correct, I personally think that they were not priced correctly at the high end… some of those vehicles were not and should not have been placed in the specific price range, way too high. 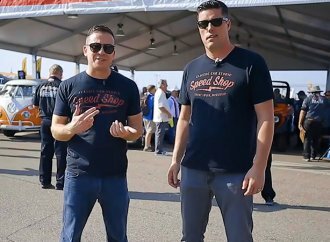 I predicted that this would happen as the younger generations come into the collector car market place and begin to purchase the vehicles that we grew up with. That includes vehicles of, as you said, the 80’s-2000’s. The vehicles of the 1950’s and earlier that our fathers and grandfathers once lusted after are now declining in value as the older generations are beginning to age out of the market. Personally I still do lust after certain American automobiles of the 1950’s so I for one am glad to see that trend. Great news to hear "run of the mill" cars of the 30ties to 60ties beginning to decline in value! Maybe I can finally afford to replace that wonderful 32 Chevy I drove in High School and College. This time sans the rust out and grey primer. Me & You "32"! BTW, were there really any "run of the mill" 1930-1960 cars???? Well, those midcentury land cruisers will remain an iconic park of the golden days of "The American Dream", and many families purchased their first (or second if they bought a Model T during the early 1900s) car with the jazzy styling with lots of cool features like multi-colored paint, chorme, jazzy sidelines, grilles, and for a time, tailfins. So many classic movies and TV shows featured them, and no era perhaps had more influence to the rest of the world than that era. Things like the automatic transmission, air conditioning, power windows/door locks, AM/FM radio, cruise control, and eventually seat belts came of age in that era. This includes many retired makes like Henry J, Rambler, Packard, Studbacker, DeSoto, and of course, the Edsel. Even an once iconic, rare car like a 1960 Edsel 2-door station wagon was listed for the price of a 2019 Ford Focus. This will likely present a great opportunity for Millennials for these "before their time" cars as the owners of them pass on, and you may snag a deal at Craigslist or eBay for quite some time, and always are showy at Cruisin’ shows, and with the availability of manuals for these classics increasingly accessible online, can allow for a better knowledge of maintenance and care. Remember when Big band/swing music and early rock ‘n roll/doo wop were common in terms of "classic oldies"? That’s when that market peaked. Millennials also aren’t as "car crazy" as their parents/grandparents were, focusing instead on public transit. The focus now is on Japanese and European classics. That said, eventually, after this flush of owners dies out in a couple decades, those midcentury cruisers will likely rebound, especially as those models approach the century mark, meaning that as Millenials retire around midcentury, they could have made quite a deal if they did their research. That said, most American cars with a vast few exceptions from the mid-1970s on will never be wise investments due to foreign competition. I only watched the Barrett-Jackson auction. Most cars sold for prices I could hardly imagine. I hate to hear about the tri 5 s dropping in value. I guess the younger generation of millionaires are going to control the market. I disagree with your comments on the buyer’s trend at auctions in general. 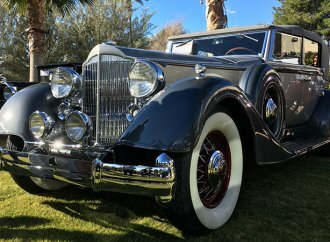 Barrett Jackson may have had the "trend" results you are reporting on but if you spent the week before at Mecum Kissimmee auction, the sales for cars across all of the years, even a pre-war Dusenburg, Packard, brought good money. I found that this years auction at Mecum were some of the best cars I’ve seen over the many years I have been attending at all at strong prices. Sure the run of the mill cars will always bring low dollars but the true car collector will always find the car (eventually) whether at auction or privately, which they long for at a price that the market will bear. Need ’80s model T-Bird turbo parts. Any help? Trying to restore.